Many people ‘fail’ to complete any weight loss program simply because they have set themselves unrealistic goals. 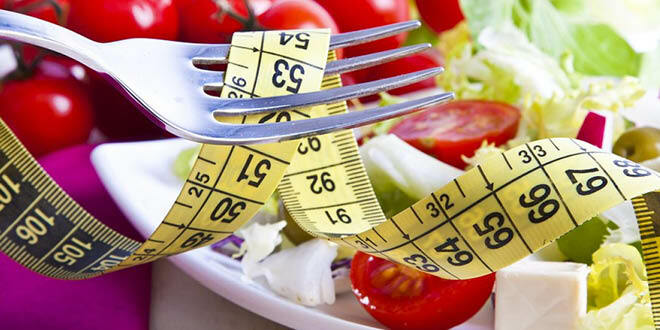 Trying to lose too much weight too quickly without supporting your metabolism with all the vitamins and minerals it needs can be dangerous – a safe amount of weight to lose is around 2kg per week. Remember to weigh and measure yourself at the same time at the end of each week and to record your results in the QuickLoss 12 week Diary*. Add the total centimetres and kilograms lost, each time, to measure your success. Weight and measure only once per week on a day that suits you. As body weight can fluctuate on a daily basis, frequent weighing and measuring can cause unnecessary frustration. *To save this onto your computer, click on the link and then save onto your computer or tablet. You will then be able to fill this in and save each time you update it. 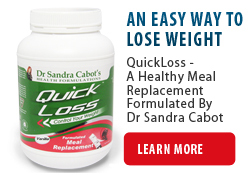 QuickLoss powder can be mixed in water or any unsweetened milk, and is, in itself, a complete meal. Add 6 fresh or frozen berries to the QuickLoss and liquid for a fruity flavour – use a blender for this one. Add some coconut oil to your QuickLoss shake – it tastes great and this no carb, healthy saturated fat will help you to feel fuller even longer. Add fruits – such as 1 nectarine or 1 peach or 1 kiwifruit – to the blender with the QuickLoss powder and liquid. Add pure cocoa powder to the QuickLoss and milk in your shaker for a chocolate taste. Add instant coffee powder or brewed black coffee to the QuickLoss and milk in your shaker for a coffee taste. Add a small amount of sweet spices such as – allspice, anise, cardamom, nutmeg or cinnamon – these spices add very interesting flavours to your smoothie. Many of these spices have healing effects such as lowering blood sugar, speeding up metabolism and improving liver function. Add 3 – 4 tablespoons of full fat plain yoghurt and 2 scoops of QuickLoss to your shaker. Then add water to fill your shaker. Shake vigorously and add to a glass with ice cubes. This is a delicious way to have your QuickLoss and provides healthy bacteria for your intestines. We all love a good life hack! Here are 8 weight loss secrets that can really help you stay focused. This easy to understand menu planner covers all meals and snacks with many healthy options for your dinner (or the main meal of the day). This can be printed out and put on your refrigerator so you can plan your shopping and meals in advance. Click on the following links to access the recipes for the QuickLoss Dinner suggestions, as well as healthy salad ideas and salad dressings as mentioned in the QuickLoss Menu Planner. To help make your weight loss journey with QuickLoss a little easier, we have prepared this Healthy Shopping List for you! It is important not to choose beverages which contain added sugar or artificial sweeteners. Here are our recommended beverages. We have tried to cover all of the ‘usual’ questions we are asked about QuickLoss here, however if you can’t find the answer you are looking for there, please contact us by email or call our friendly naturopaths on 02 4655 8855.